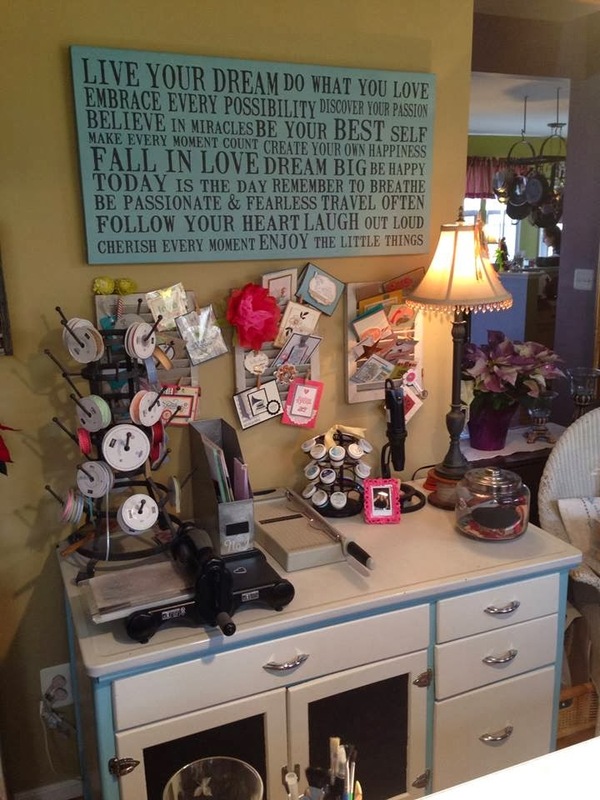 Trinity Designs: Stamping 411 is Here! Good morning stampers! I have BIG news for all of you - I am honored to have been asked to be an inaugural design operator for a new Stamping Blog called Stamping 411! This is exciting news for all of us! The blog will focus on stamping basics for new and occasional stampers, but will feature tutorials, videos and weekly sketch challenges for everyone! 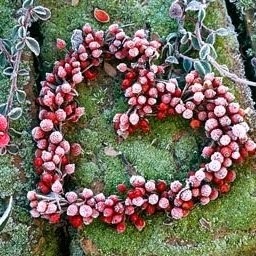 I encourage you to visit the blog on a regular basis for fabulous inspiration and stamping advice. The sketch shown here is our very first one! 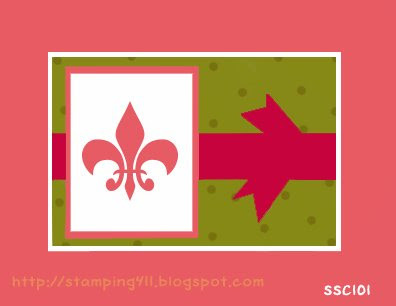 You are encouraged to play along with us and then share your creation by linking it back to the Stamping 411 blog by adding the link in your comment. 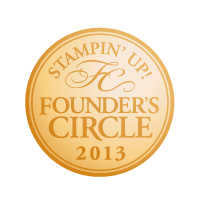 Be sure to use the sketch number (SSC101) if you are posting your creation to SplitcoastStampers. We can't wait to see what you create! This week, I got so excited about the sketch, that I made two cards! In the first one, I turned the sketch and expanded the center layers to accomodate the size of my image. An easy way to determine what size to cut your cardstock is to measure the block of wood your stamp is mounted on. Then cut your focal image cardstock that same size and expand your measurements from there. I typically cut at 1/4" larger intervals, but here, I've also cut the Regal Rose layer at a 1/8"interval for just a touch of that color on the card. This card and my second one also feature a technique called Paper Piecing or Painting with Paper. As you can see, I stamped the cupcake stand once on the Whisper White cardstock and colored it in with my markers - easy watercoloring! 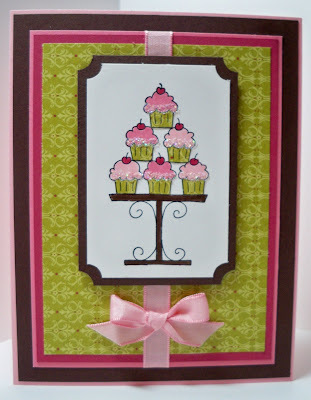 Then, I stamped the cupcakes again on Raspberry Tart Designer Paper and cut out just the cupcake wrappers and adhered them to the card. That's the technique! So easy and very fun! For my second card, I used the sketch the "normal" way, but again, expanded my center layers to accomodate the size of my image and it's layers. I also cut the cardstock for the teddy bear the same size as my block. That really makes it easy. Look at the Designer Paper I've used for the 'background', the one with clouds and dots on it. Well, since SU! 's Designer Paper is double-sided and coordinating, I simply used the flip side of this piece to create the teddy's gingham belly! It too is Paper Pieced as in the first card. To create the layered greeting, I stamped once with Creamy Caramel on to Barely Banana, cleaned my stamp with the Stampin' Scrub and Stampin' Mist -must have for getting your stamps truly clean - then inked up just the center of the stamp again with my Stampin' Write Markers. 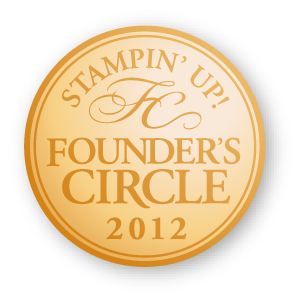 Simply use the brush tip and color directly onto the rubber of the stamp. After stamping, I used my Paper Snips to trim out the center square and there you have it, a multicolored, layered image. Now, for the dimension view, I want to point out the height obtained by using Stampin' Dimensionals under the greeting and the teddy bear. They really add a wow factor to a project. For added interest on this card, I used my Bone Folder and lightly rubbed it along the edges of the clouds layer and the teddy bear layer to 'distress' it. 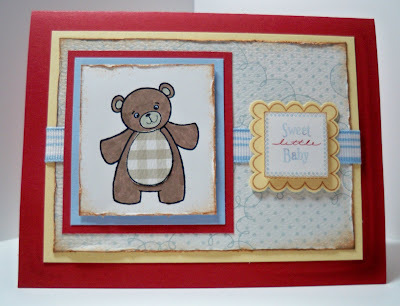 Then I simply sponged on some Creamy Caramel ink along the edges and it gave the card an antiqued, vintage feel. The ribbon that is used here is simply cut 1 1/2" longer than the piece of Barely Banana cardstock and adhered to the back of the cardstock layer with SNAIL adhesive. 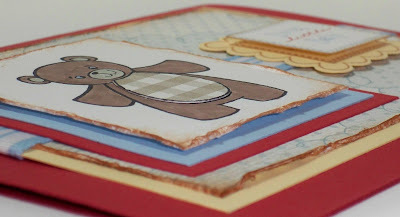 I hope you enjoyed the cards today and be sure to click over to the Stamping 411 blog and check out all the other Design Team's inspiring work. 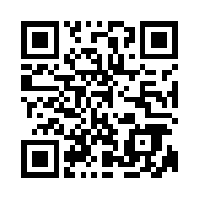 Please leave me a comment here or there and let us know what you think of this new venture and what you'd like to see in the future! These cards ROCK! I love all the dimension on the teddy bear card. You did a wonderful job with the sketch. Hugs Girlfriend! Hello Robin, Thank you for flying by my blog and leaving me a compliment! I do like your cupcake card! TFS, Hugs always!